Our LEFTY boomerangs are one way to get a durable Left Handed boomerang which REALLY works at a low cost. 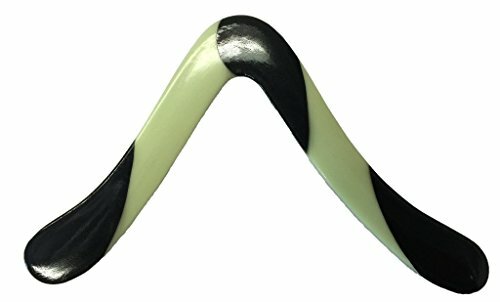 The "Lefty" series is particularly appropriate for ages above 10 or 11 as they are fairly heavy for a plastic boomerang and appropriate for both teenagers and adults. Throwers often like plastic boomerangs as they are more durable than wood and more easily manufactured to precise specifications for near perfect airfoils every time. Left Handed boomerangs can also be hard to find. We have several versions of this boomerang available in Red, Green and and a Carbon Fiber composite material ( search for them on Amazon! ). Ideal for ages above 11 as it is fairly heavy for a small child. For our "Amazon Prime" items search for "Colorado Boomerangs"